March 22, 2018  After months of build-up, lawyers for AT&T and the Justice Department squared off in court Thursday over the potential $85 billion deal for Time Warner. The Justice Department says it will hurt competition and drive up cable TV subscription prices. March 21, 2018  Attorneys for the U.S. Department of Justice and AT&T square off in opening arguments this week over whether AT&T's proposed takeover of media conglomerate Time Warner hurts consumers. March 16, 2018  The Chicago Tribune went through a new round of layoffs on Thursday. The newspaper's parent company Tronc has big plans to change what readers will see on the websites of its newspapers. March 14, 2018  Sinclair Broadcast Group executives are pushing news anchors at local stations to read statements denouncing "fake news" at other outlets. Many employees are not happy about it. March 9, 2018  Ross Levinsohn's strategy for his company's newspapers would serve up more digital content from outside their newsrooms under their brands. He calls the vision "gravitas with scale." February 27, 2018  In a bid that appears designed to scuttle a deal planned by rivals, Comcast has offered $31 billion for Sky, Europe's largest broadcaster. If the Comcast bid is successful it will destroy Rupert Murdoch's plan to turn many of his assets over to Disney at a premium price. 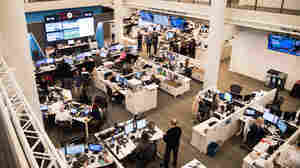 February 21, 2018  An outside legal review of NPR's handling of allegations against former top news executive Michael Oreskes found that questions were raised about his behavior even before he was hired. February 20, 2018  An outside legal review of NPR's handling of allegations against former top news executive Michael Oreskes found that questions were raised about his behavior even before he was hired. 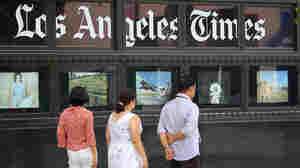 February 7, 2018  The parent company of the Los Angeles Times is in talks to sell the paper to a billionaire doctor after months of tumult at the organization. February 2, 2018  The editor made a triumphant return after a brief suspension. Kimi Yoshino told colleagues she had been questioned about a conversation with a New York Times reporter. 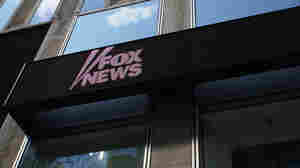 January 23, 2018  In a setback for Rupert Murdoch family, British regulators said the planned $15 billion takeover of Sky was not in the public interest and would be blocked unless there is a way to prevent the tycoon from influencing the network's news output. January 22, 2018  Parent company Tronc opened the inquiry after a request for comment by NPR. Daily News Managing Editor Robert Moore is accused of pressuring women for attention and punishing those who object.